"Generally a high school life is all decided in the first two months." Do you agree this? 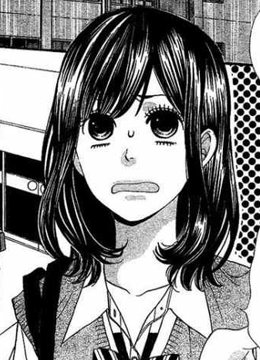 Maybe you don't but this is what the main character of this stroy, Shinohara Erika, believes.Trying to build a reputation in school is what Erika needs to survive. But when you're a 16-year-old that has never even dated someone it's way harder. The solution? Lie. So she pretends she has a boyfriend. The only one who knows the truth is her friend, San-chan. But without any proofs of having this "perfect boyfriend", Erika sees herself wrapped in her own lie. Her new friends start doubting her. Trying not to be called a liar, she takes a picture of a random cute guy walking on the street so she can show her friends. WRONG! In fact, this guy she took a picture of studies in the same school as her. The famous "Prince", Sata Kyouya. She then asks him a favor: prentending to be her boyfriend. Cute adorable sweet and understandable guy agrees happily and a beautiful cliche love develops? YOU'RE WRONG AGAIN! This so called "Prince" is a great sadist. He accepts the deal, but... now, Erika is his dog! Here begins the journey of the Wolf Girl! Kyouya is unafraid to voice his most cynical views. Heck, if he sees an old lady struggling to walk across the road, he may as well be that person to send her to her doom. The refreshing part of his personality is that he shows no signs of other personalities. He's just being himself. It may get over the top at times but it's interesting but poor Erika has to put up with that. She knows this as well and tries her best to cope with it. It doesn't come as a surprise that other characters are not as unique as Kyouya or Erika. The friends of Erika feels static. 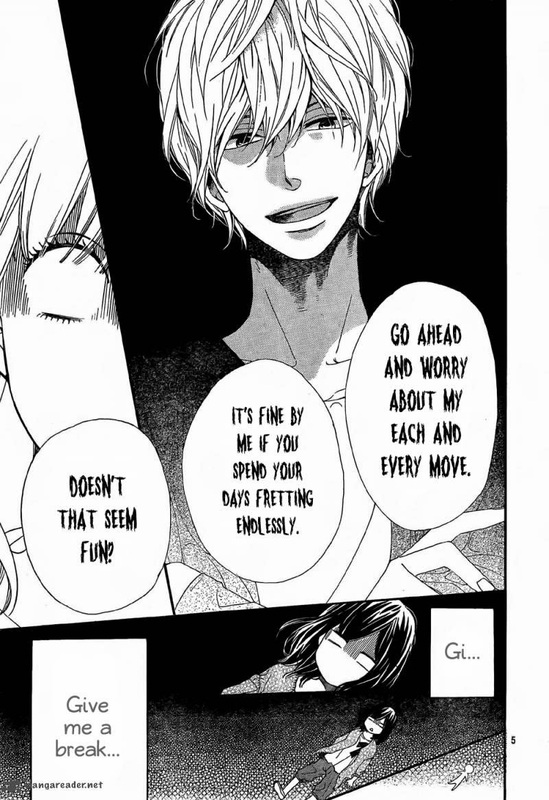 But from Kyouya's side, one of them turns to be more interesting to read than how I thought he'd be. 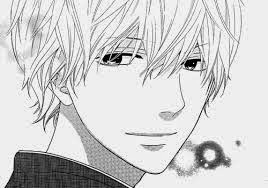 He's chirpy and friendly, a striking opposite of Kyouya, but is equally enjoyable. What really made me into the story was the original plot. 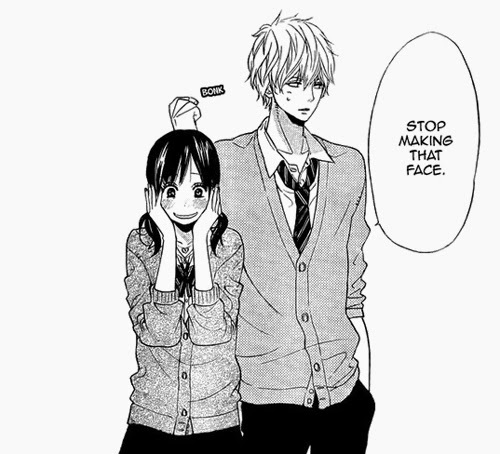 In shoujo manga, the story is almost always fluffy, cute, adorable and heartwarming. There are also those heartbreaking, tragic and sad love story. 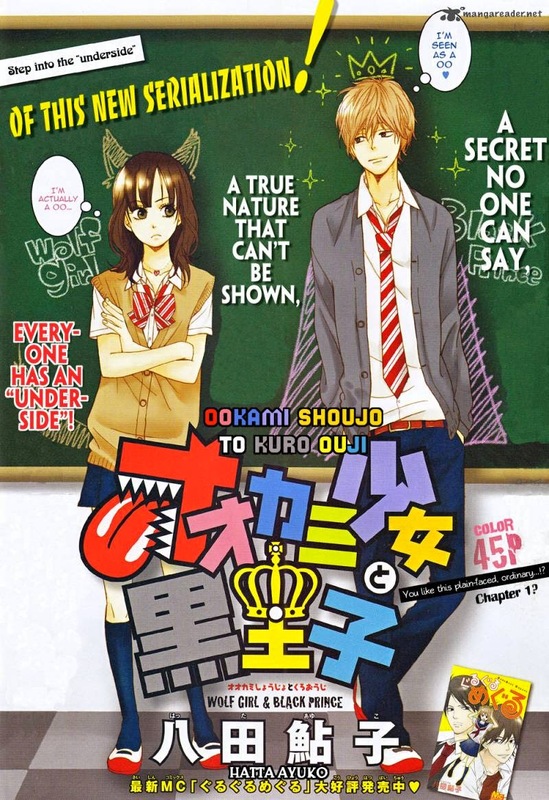 Ookami Shoujo to Kuro Ouji is a totally nonsense and new love story. A sadist and an almost-masochist making so much success is a little new in the shoujo industry.